If you’ve stepped out to enjoy the night air lately, you’ve likely noticed a loud newcomer to the chorus of night sounds. This week on Discover Nature, we’ll shine some light on the Northern True Katydid. 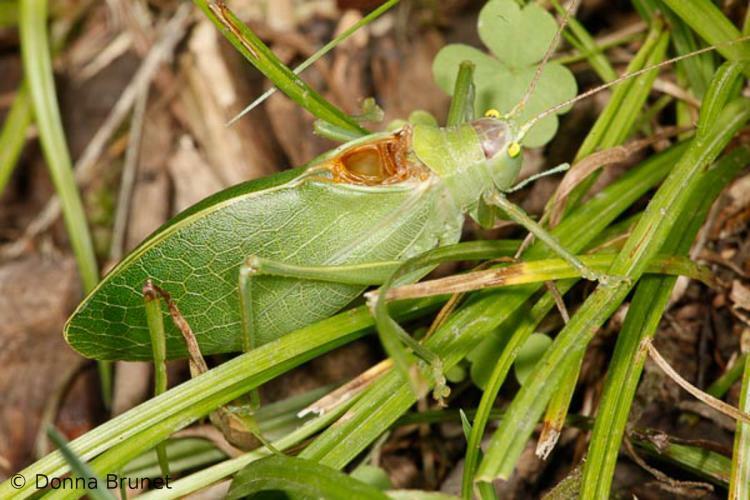 The Northern True Katydid is making itself heard now in Missouri. The insect is featured on this weeks' Discover Nature. 'So, that's what I've been hearing lately?' The Northern True Katydid sounds off on this week's Discover Nature. Katydids join the summer symphony on hot July nights, but are rarely seen until autumn when cooler weather makes them clumsy and they fall from their treetop perches. In autumn, females lay eggs in tree bark where they overwinter and hatch the following spring. Discover Nature is sponsored by the Missouri Department of Conservation. 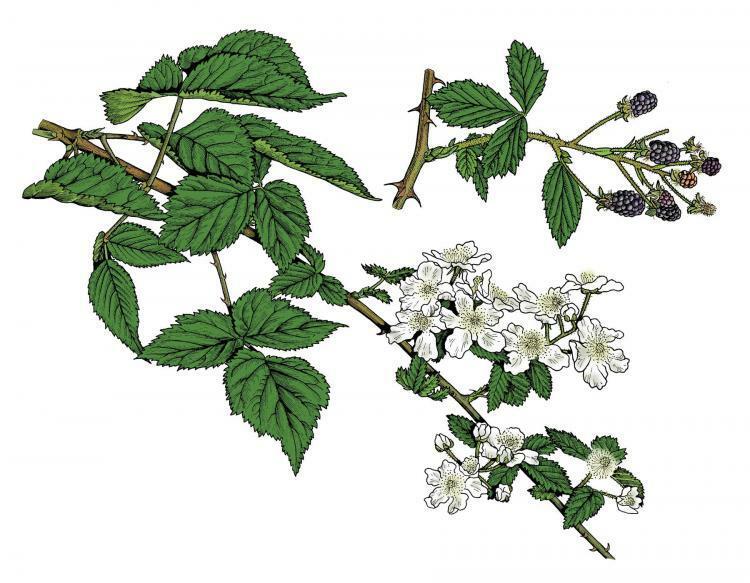 The hunt is on for blackberries that are ripening now in Missouri's woods and fields. More about this native fruit is on this week's Discover Nature. 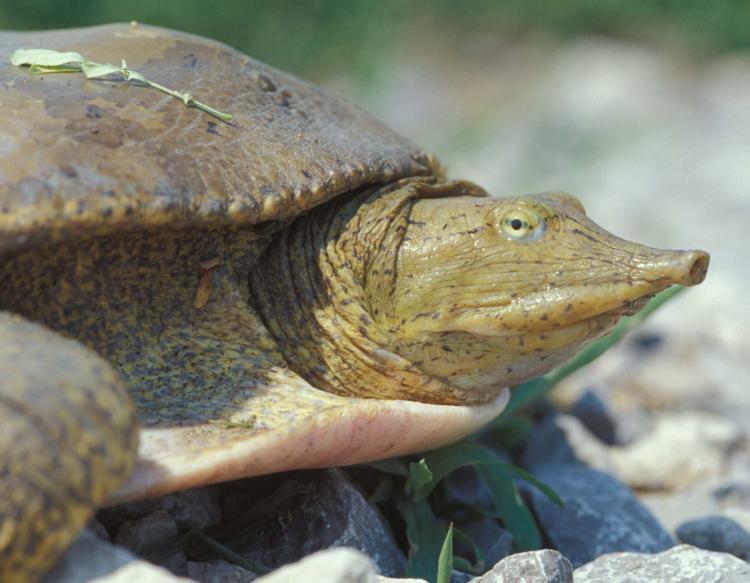 Take a canoe out on a local pond or stream this week, and you’ll likely encounter Spiny softshell turtles. Look for one of Missouri's largest turtles that are active now. More details about softshells are on this week's Discover Nature. 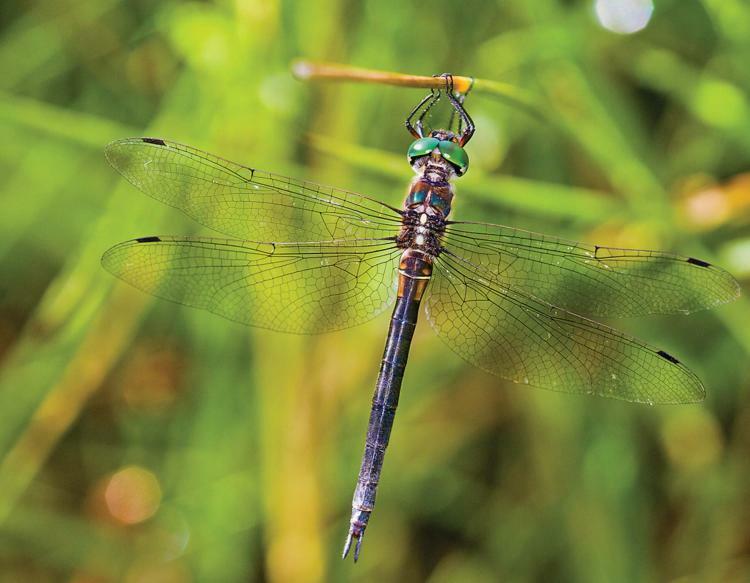 Dragonflies are laying eggs now across Missouri. On this week's Discover Natgure, learn more about this insect some species of which are a State Species of Conservation Concern.